More than 60 people attended the Woodsider Party held on 7th September 2016 at Old Finchleians Clubhouse in Southover. The party also incorporated the Annual General Meeting and Chairman Robert Shutler announced his report for the year. He thanked the committee and other helpers for their voluntary work during the year. Nasim Khan presented the accounts for the year which were unanimously passed. It showed that there was a small surplus for the year of £362.00. Leader of the Council Richard Cornelius praised the Association for their hard work and activities. And after the AGM the partying could begin! The evening was attended by our Member of Parliament Theresa Villiers, Leader of Barnet Council Richard Cornelius and Councillor Alison Cornelius. They were asked hard and searching questions by guests and managed to dodge most of them!! 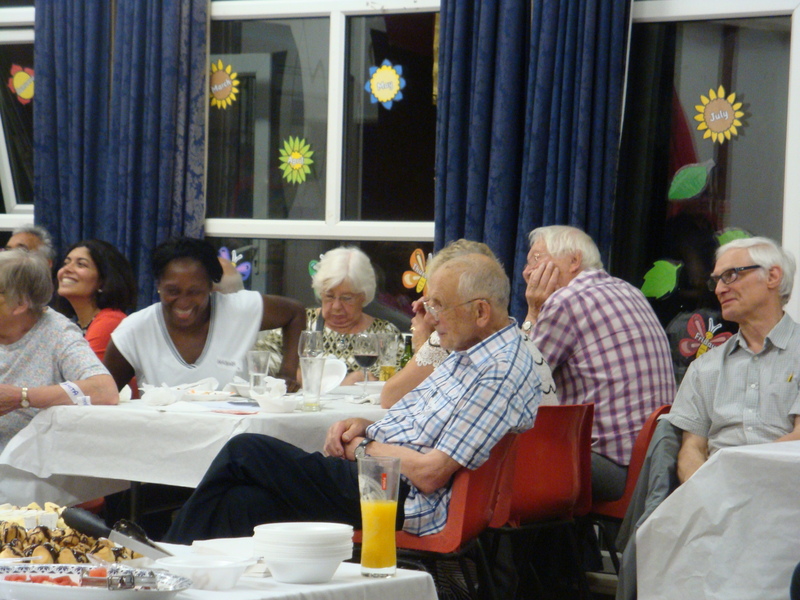 Food was superbly provided by Trish Lewin and the committee. This included all sorts of exotic dishes together with baked salmon, pastrami, numerous cheeses, salads and rice dishes. There was more than enough for everyone. 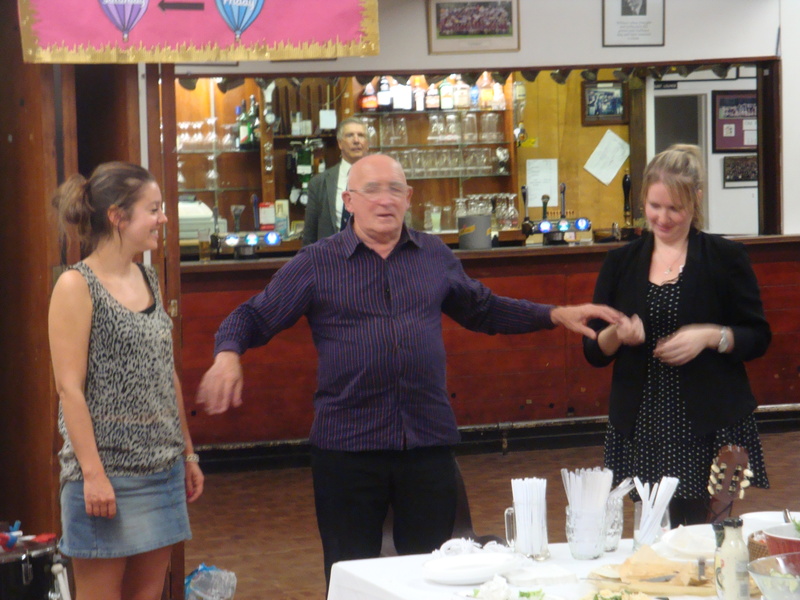 There was a free bar ably worked by John Bowra who is now president of the Old Finchleians. We thank him for his efforts. Colin the Magician performed some tricks to amuse us. 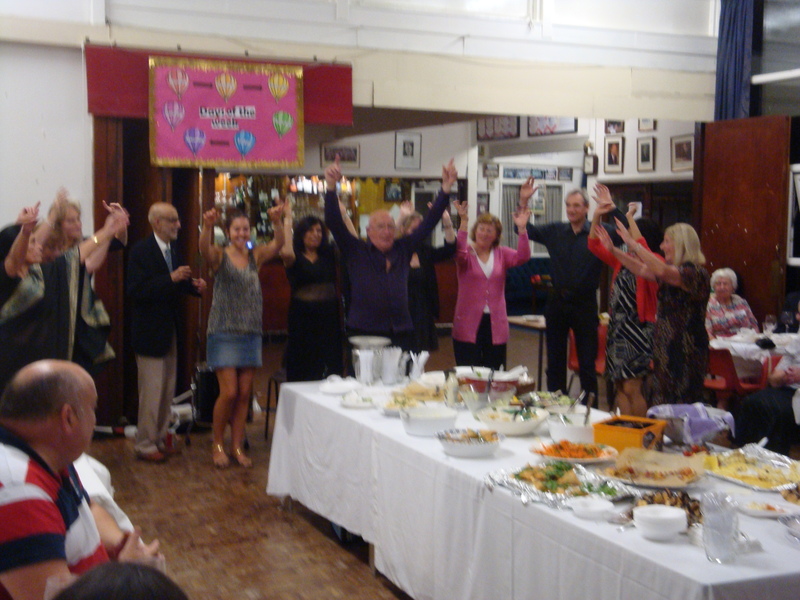 In addition, Estelle Phillips worked some magic with the raffle. 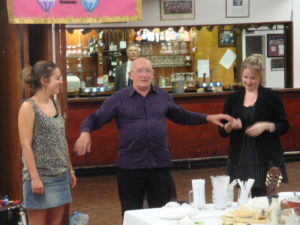 There was much chatter, amusement and frolics and it was a very enjoyable evening. For £6 the guests enjoyed all the food they could eat plus a free bar and some entertainment as well. Our thanks to everyone who helped, too numerous to mention. A memorable evening.